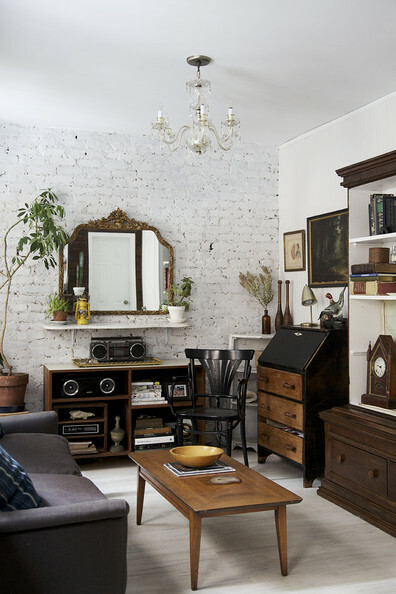 Located in New York City's East Village, Anthony D’Argenzio’s serene one-bedroom—which he shares with his fiancée and their long-haired dachshund, Sabra—is a master class in makeover magic. You’d never guess the apartment's former tenant was an elderly woman with an affinity for rose-hued window swags, cut-crystal dinnerware, and one very plastic-covered sofa. But here's proof!